One of the biggest things I noticed when returning to Bettaland was the huge influx of new people to our hobby. This is a GREAT development, because it brings new energy and enthusiasm as well as the introduction of new ideas and concepts. I have always loved helping newcomers get their feet wet in the betta world, and I am honored to have several people who are now peers and equals (and some of them superiors...hmph!) 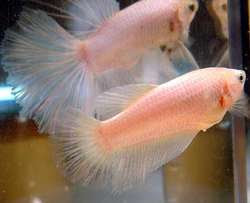 who I first met when they were wet-eared newbie betta lovers bursting with questions and excitement. This has been the most rewarding part of running the website, and is the reason why I always try to encourage newcomers by being on hand to answer any questions and help out where I can. I decided to introduce the mentorship program as a way of reaching out to those still new and inexperienced with bettas, to provide advice, nice breeding stock, answer questions, and bring even more promising hobbyists into the fold. Because of time/work/family/betta constraints, the number of apprentices I can take is limited. So I will be choosing no more than FOUR applicants! Applicants will not be discriminated against for age, but if you are a minor I may ask for the contact info for your parent or guardian so I can confirm that it is ok that we exchange emails and I send you live fish. SENIOR CITIZEN APPRENTICES ARE ALSO WELCOME! Bettakeeping is an excellent retirement hobby, and I would love to hear your perspective. Who I can't accept: Those outside of the US, unfortunately :(. While I would love to have apprentices all over the world, I can only actually ship fish within America.